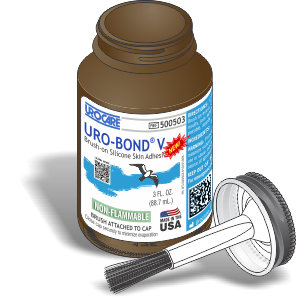 Urocare | Products - Uro-Bond V Thinner, Large 3 fl. oz. #501503 Uro-Bond® V Thinner, Large 3 fl. oz. The use of Uro-Bond® Thinner may be deemed necessary where Uro-Bond® V Brush-on Silicone Adhesives have thickened (this sometimes occurs when the bottles are opened frequently as the solvents used are highly evaporative in nature). • Clean-up with Soap and water. • Does not promote hazardous polymerization. 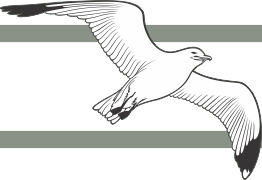 Suggested uses include but are not limited to use as a dilutant for Uro-Bond® V Brush-on Silicone Adhesive as well as a degreasing agent or a solvent. However, Urocare® does not recommend the use of Uro-Bond® Thinner as an adhesive remover—we recommend using an alternative product for that purpose—see Urocare® Adhesive Remover Pads. 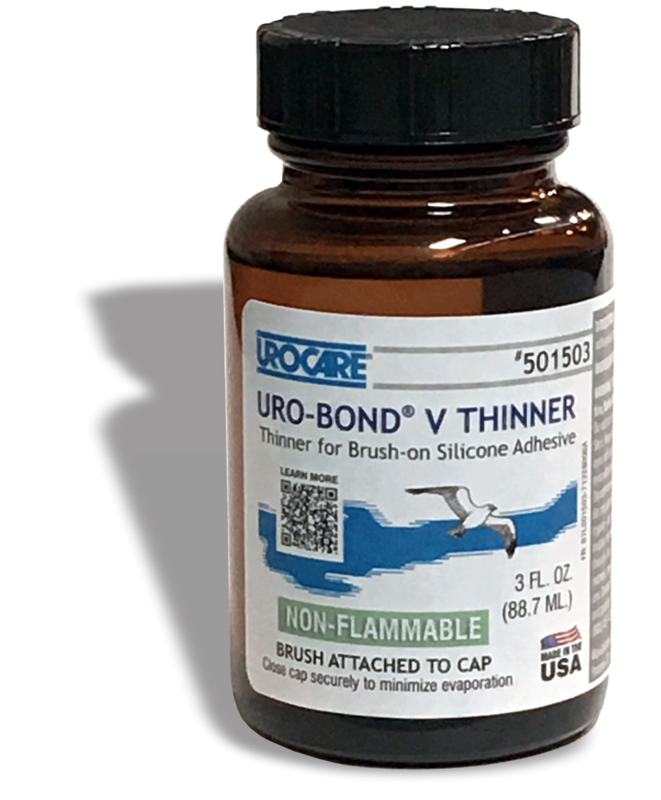 NOTE: Since the actual use of Uro-Bond® Thinner or products otherwise incorporating Uro-Bond® Thinner by others is beyond the control of Urocare®, it is the user's responsibility to independently determine the safety, toxicity, suitability and acceptability of the product's performance in a specific application for his/her own use.